I have the amplifiers since yesterday in my possession. Last night I listened to various music together with a friend. We are both deeply impressed by the performance of the Shengya PSM 300. The sound is so incredibly detailed The amplifiers provide a three-dimensional image that I have not heard before. 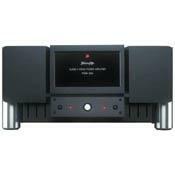 The amplifiers control the loudspeakers completly, the bass reproduction keeps tight to the very deep tones. I have heard very expensive Mark Levinson and Krell mono amplifiers, but they do not do what the PSM 300 performs, it is really fantastic and almost unreal nice. the only weakness of this amp is the weight, total 72 kg.